Excellent service. Pearson Honda treated me extremely well. Very quick and easy check in and quick turnaround to fix the problem. 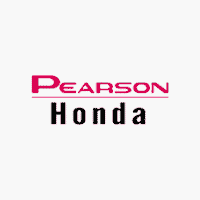 I have been having my Hondas serviced at Pearson for the last 15 years. Always a good experience. They have been very honest in telling me when repairs or services are not needed. Highly recommend them. Service department was very courteous.They got me in and out in a timely manner. I cant.think of a better place to take my cars for service.. Scheduled 30k service on my Civic. Appt started on time, was fast, and service techs were informative and friendly. Cost was shared upfront for all services I requested. Very friendly and helpful! I was having a very stressful, emotional morning.. I came in contact with 4 employees while having my vehicle worked on due to a recall. It was a no hassle process. Everyone treated me with kindness from the moment I walked in the door until I was escorted back to my vehicle. They didn’t say, but I’m pretty sure they washed my car! I definitely would go to this dealership when in the market for a new vehicle.